Our B & R B-series coil plate adapter is perfect for those upgrading to COP. This aluminum plate is made to hold your K-series coils securely in place on a b series engine and looks great at the same time. No more ugly brackets or jamming the coils under your stock plug wire cover. 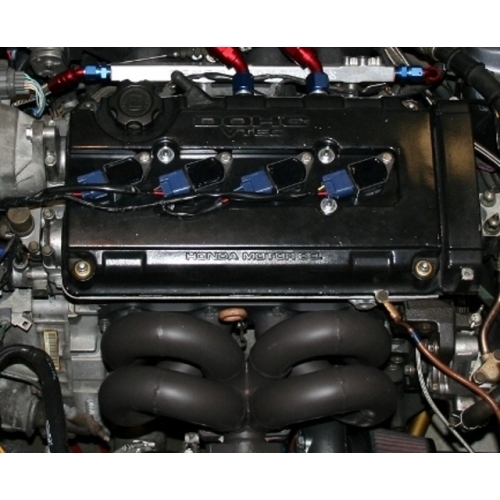 Your must have a b-series vtec head for this to work. These are available in a raw aluminum finish and anodized black. Works with RSX coils part number 30520-RRA-007 ONLY! If you need the coils please add them in the drop down menu.